This design features…a very happy and friendly looking grey and white dolphin surrounded by crystal clear ocean waters fading from teal green into azure blue. Matching qualities that carry through the whole abstract artwork collection include whimsical stylized strokes...depth and detail with distinctive swirling texture...bold contrast between individual elements and an overall modern and artistically painted appearance. 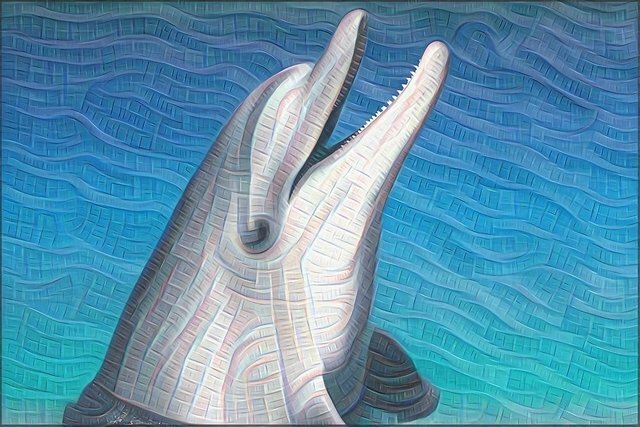 Ah yes the smiling dolphin image this means alot to me lately @creativesoul as since I started on Steemit over 2 years ago I have wanted to reach dolphin status and now I'am almost there. So long and thanks for all the fish?! A contented smile and a contented soul. 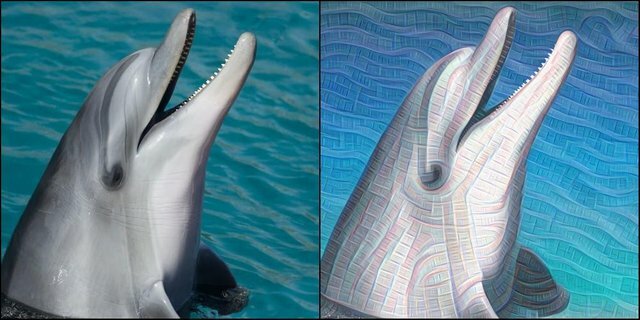 The dolphin, a truly remarkable animal. Just how intelligent are they? And why are we not more amazed by their amazing feats and abilities; their intelligent mind? They seem to have a basic language and can even solve simple math problems. Why are we usually so sure that we are the only intelligent beings in the world? Isn't all life intelligent? Aren't they all an expression of an intelligent energy that pervades the universe?